by Jill T Frey — in Website Maker. Softaculous is the leading auto-installer for control panels like Plesk, cPanel, InterWorx, DirectAdmin, and H-Sphere. It offers over 450 scripts with newer ones getting added every day. It is much faster than the other auto-installers available in the market and allows the user to install applications in no time. A list of applications will be displayed. Click on the application – WordPress. This will open a new screen with multiple options – Overview, Install, Import, and Features. Click on the option – Install. Choose Domain – There is a drop-down menu of domains. Select the domain on which you want to install your WordPress. In Directory – You can choose to install your WordPress directly on the domain or in a sub-folder/directory. If you want to install it in the domain, then leave the option blank. Else, mention the name of the directory in the space provided. Site Settings require you to input your site’s name and description. Admin username and password – You can set the username and password for the admin account for logging in to the dashboard. Admin email – You will need to input a valid email address for the admin account. Remember, if you want to install your WordPress on a subdomain, then you need to ensure that you have properly created a subdomain in the Control Panel. If you have already created the subdomain, then you should be able to select it from the Choose Domain drop-down. 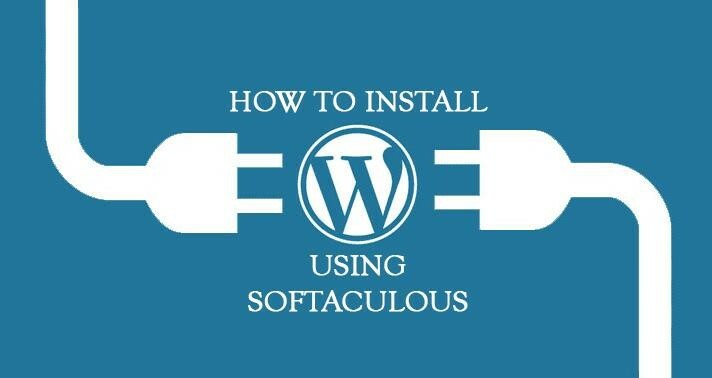 Further, Softaculous checks the details provided by you before installing the relevant files to your server for WordPress. Once the checks are done and WordPress is installed, you will get a pop-up confirming the same. Once you have installed WordPress by following the steps mentioned above, you should be able to visit your site in the web browser. If your site fails to load, then there can be some other technical issue which would need the assistance of an expert.